It’s been a very long week. Yours truely has been running around town like a headless chicken because I went to the Berlin Fashion Week. 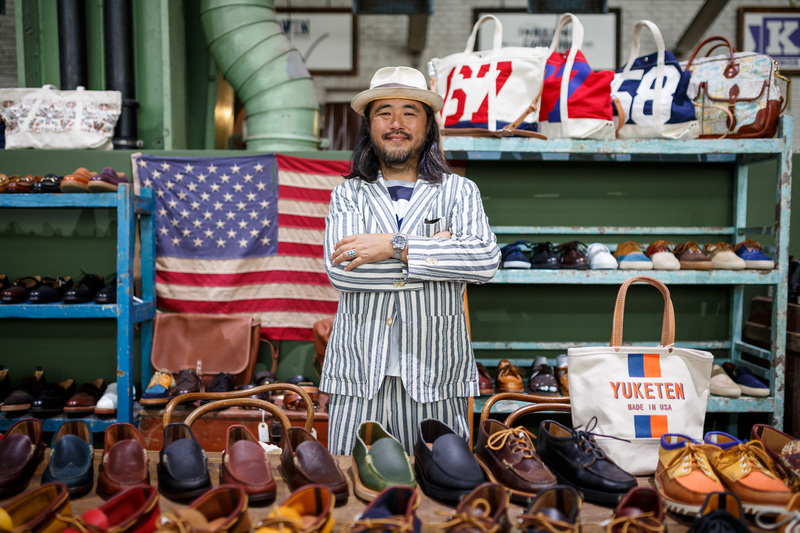 Last week, I told you that I had obtained press accreditation to go to the five fantastic places that I felt would be an asset to my blog in the realm of life-style as The British Berliner. As you know, as well as a blogger, I’m also a corporate trainer and that meant changing and moving things around so that I could put my concentration in the right corner. It was hard work, but I made it. I surely wouldn’t have wanted to miss out on such a fantastic opportunity. 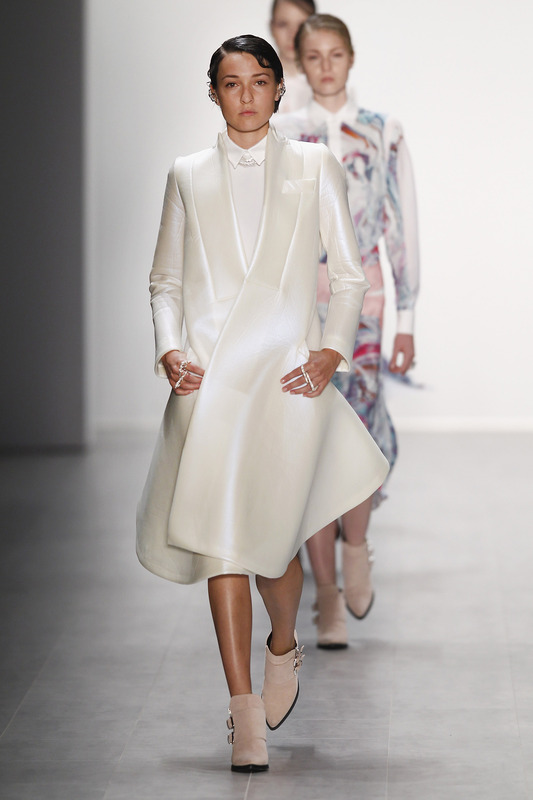 Miranda Konstantinidou Show – Mercedes-Benz Fashion Week Spring/Summer 2015. In a previous post, I told you how wonderful it was to be an expat in an international, cosmopolitan city such as Berlin, as the opportunities for people like myself, willing and eager to get out there, are so immense. Yes, but how did you get those elusive press cards? Well boys and girls. I did the easiest thing in the world. Yep! That’s right. I went to the main website of Berlin Fashion Week, did the research of the places that I wanted to go to, and sent in my application just like others would do. Being that I’m not a professional fashion blogger, and that my blog is still fairly young (less than nine (9) months old), I also enclosed posts that included fashion references, press abilities, writing abilities, and downright sold myself with that picture LOL! They liked what they saw and sent me the passes. Mostly by post. It’s Germany, so we’ve got to be organised and orderly! Being that I’m British and I also happen to live in Berlin; didn’t hurt either. 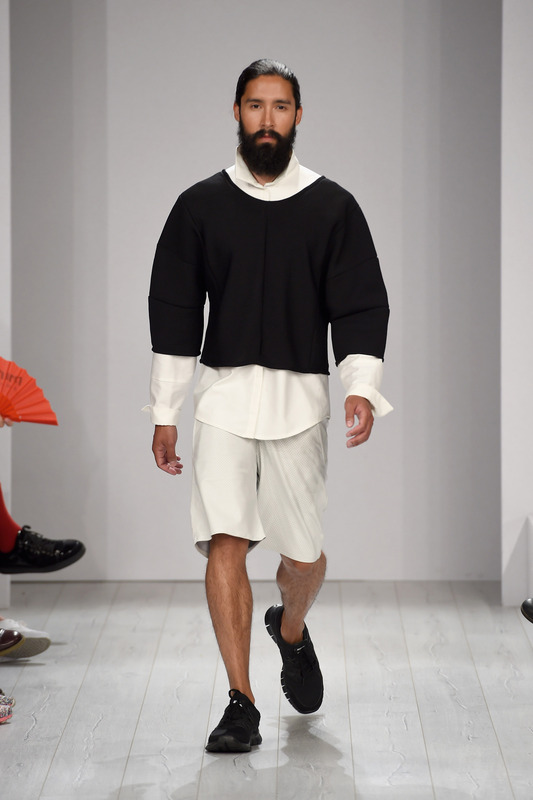 Chatty Show – Mercedes-Benz Fashion Week Spring/Summer 2015. 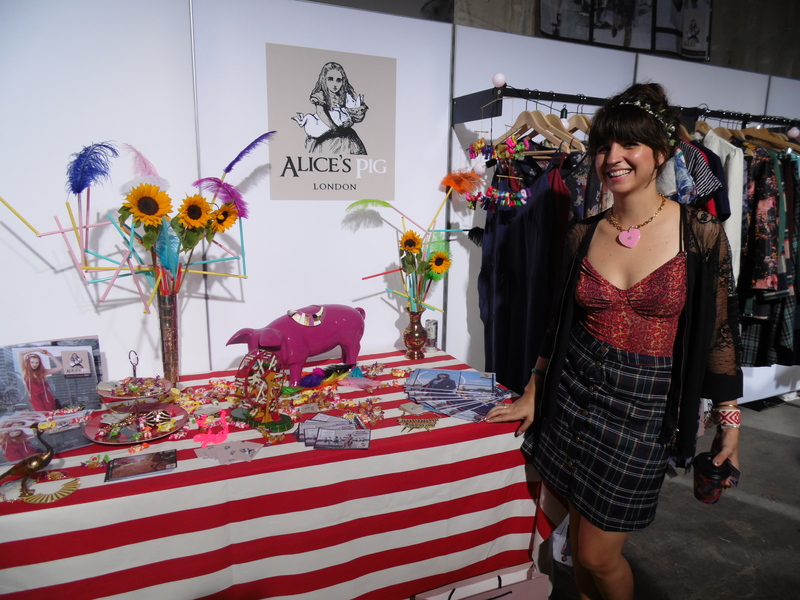 Berlin Fashion Week officially started from July 8th – July 13th, 2014, but I began hustling on July 7th! I wanted to get a feel of Fashion Week, so I went to a few showrooms both before, and after work, and I started at places near my home. I live in a gentrified part of Berlin that has lots of large open spaces and loft-like places, perfect for showing and presenting fashion pieces. I wasn’t convinced about the morning showings but by 21:00, things were rocking. I went to the after-party event at Superficial – a unisex label founded in 2012 by Anthony Vouardoux and Beck Naylor Showroom at POP UP by Projekt Galerie and stuck around, as they had an American soul singer, models presenting the clothes from the opposite building, and free wine and beer stocked in a tub of ice. VINTAGEPARROT pre-launch party. Berlin Fashion Week. After that, I went to the VINTAGEPARROT pre-launch party at C O N C E P T S T O R E M , in another part of the gentrified area of “Mitte. 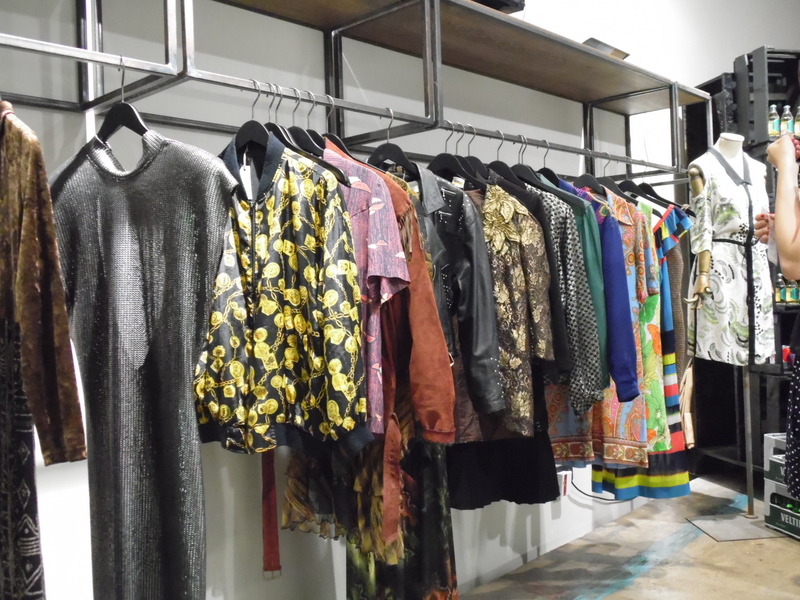 ” VINTAGEPARROT is a store that moved from L.A. to New York, then Barcelona, and then finally landed in Berlin. 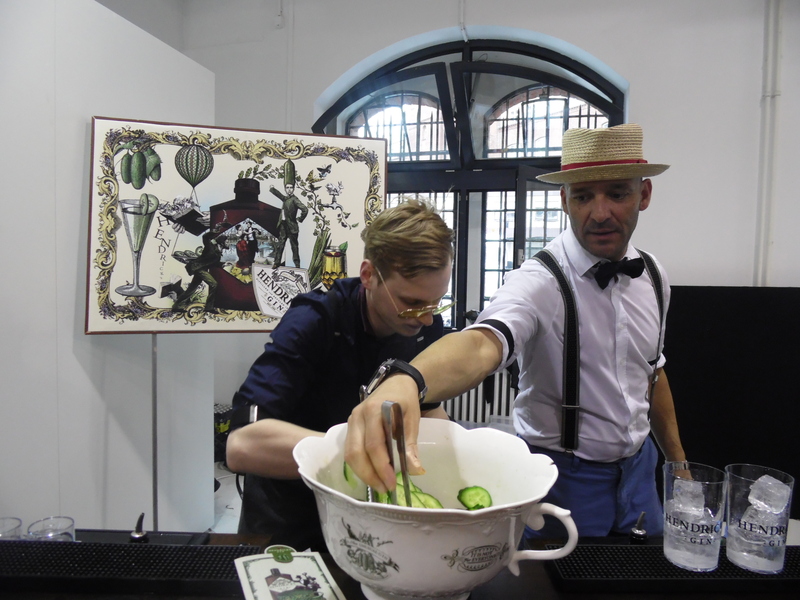 They showcased handpicked vintage pieces from all over to the world, had a live D.J., an open gin/mixer bar, and gin & tonic ice lollies! I was still up for some more action, so proceeded to go to the Mercedes-Benz Fashion Week Opening Night event instead. I missed a lot of the action and by the time I got there, people were beginning to wrap up! The next day on 08.07.14 proper, I attempted to go to as many as my booked fashion showrooms and my legs and time, would take me. BRIGHT at Berlin Fashion Week. 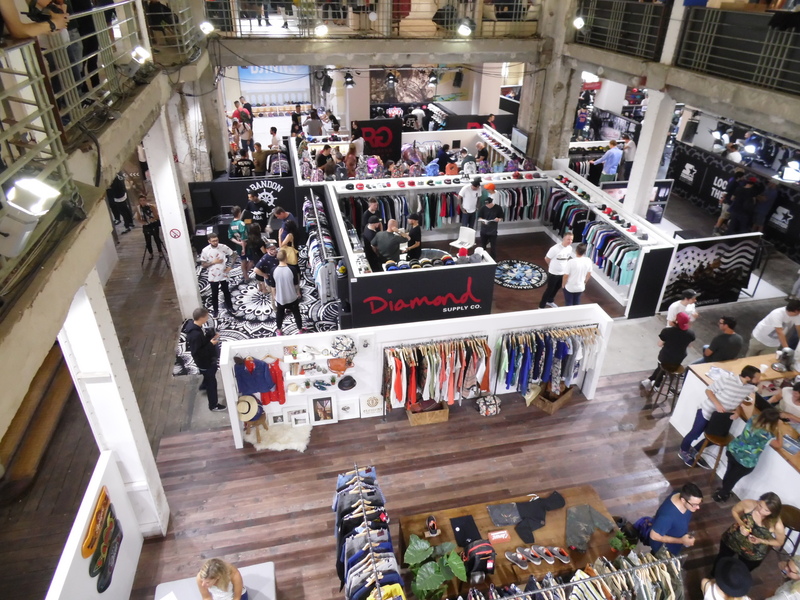 I started with the BRIGHT Tradeshow which is an exciting venue for streetwear, trainers (sneakers), music D.J. fashion, and various boardsport, all over Europe. After about an hour, I had “done” everything, spoken to a few British retail companies that I had seen exhibiting their stuff, and then I left the venue feeling daunted, out of my depth, and also, because I was thirsty! As it was my first point of call, I hadn’t a clue what to do or who to talk to. I just wandered around and poked my head into this and that. Because I wasn’t all that focused and was feeling slightly over-whelmed and lost, I didn’t get the experience here that I should have gotten, which was a shame. It’ll be better next time. I promise. Alice’s Pig at SHOW&ORDER. Berlin Fashion Week. The second place (2nd) was SHOW&ORDER. From the minute I stepped in, this trade fair was friendly and professional, and really did all the could to help me with resources, booklets and material. SHOW&ORDER itself presented 300 high-end brands, promoted new talent, supported a charity “Designed to do good” with the fashion brand: Missgoodlife, an inspiring pop-up store and a “Show&Buy” area for immediate fashion sales, as normally, you can’t actually purchase the fashion products as they are for the exhibitor, buyer, investor, and media. Bands of L.A. at SHOW&ORDER. “Free spirits keepin’ it together.” Berlin Fashion Week. I also began to find my feet here as I was offered a glass of champagne at the bar, and there were always people to help me when I couldn’t find my way, as the venue was large and hot. I also lost my notebook along with all my notes about who I met and what we talked about, but I soon cheered up LOL! Eton at PREMIUM. Berlin Fashion Week. The third (3rd) place I went to was a brief pop in at PREMIUM. I had managed to wrangle an exclusive networking event for fashion bloggers and enthusiasts taking place the next day, and so I wanted to just drop in so that I could get the low down. The staff members not only told me where I could get resources from, but they also gave me the invitation card for “a private invitation only” party also taking place the following day, and offered me Prosecco and snacks at the bar. One of the senior staff members noticed that I was drinking sparkling wine so he threw away “that horrid stuff,” and gave me a glass of champagne instead! Well, I don’t mind if I do! BREAD & BUTTER – Urban Base. Berlin Fashion Week. My fourth (4th) venue was BREAD & BUTTER. 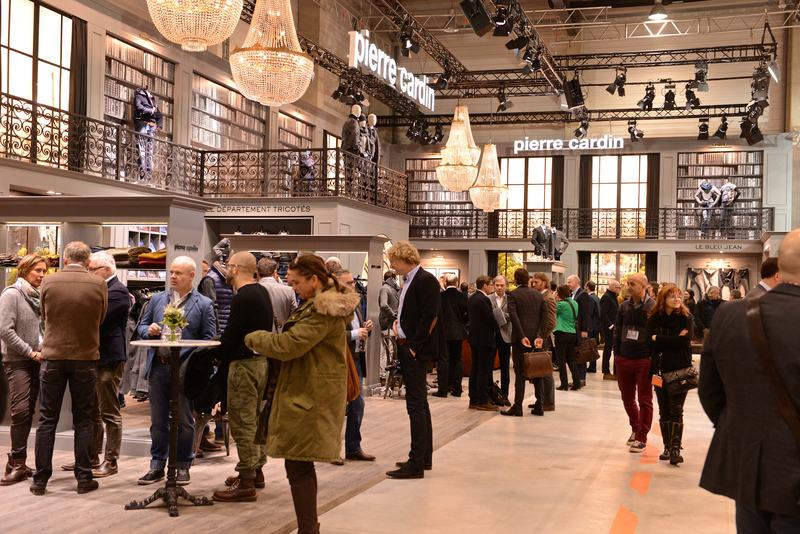 BREAD & BUTTER is one of Berlin’s biggest and most known fashion trade fair venues. They were also the very first organisation to look favourably on my blog. BREAD & BUTTER started in Germany, went to Spain and landed back in Germany since 2009. Change is afoot once again. Barcelona (Spain) and Berlin (Germany) are both BREAD & BUTTER‘s hometowns and the ideal metropolises for modern lifestyle and street culture. 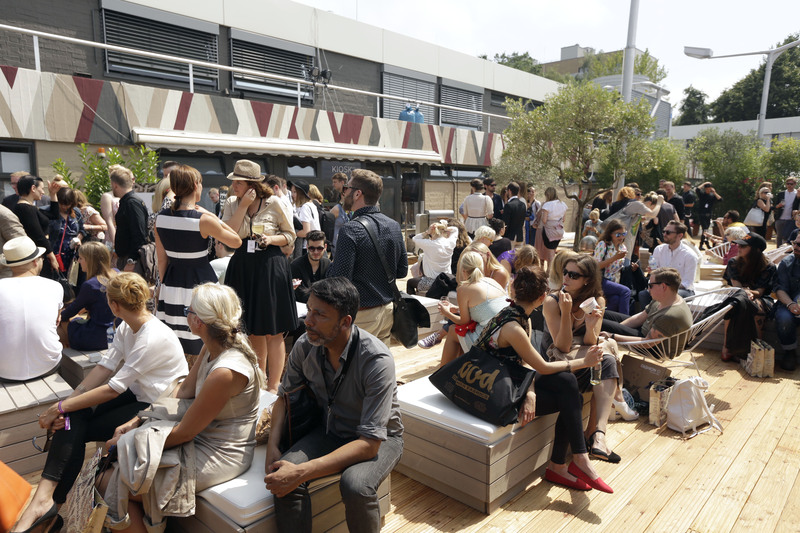 As a result in 2015, BREAD & BUTTER is going to bring its favorite fashion cities together. BREAD & BUTTER – Ready for Asia. Berlin Fashion Week. 2015 will also mark the first venture of BREAD & BUTTER in Asia. The tradeshow will take place in Seoul, South Korea for the first time from 3rd – 5th September 2015. It’s going to be amazing. I had a great time at BREAD & BUTTER. There was a press lounge for refreshments and I had a bit of a break, as I had been rushing around all day. I also wanted to end my day here as there were special “Carnival do Brasil” events with Brazilian dancers, food and drink, live music, the big screen showing of the World Cup, as well as fashion business. 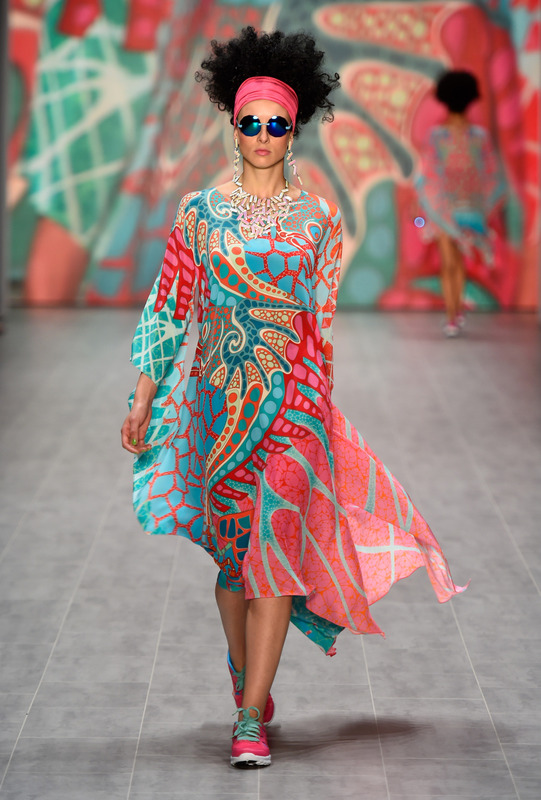 Linda Farrow at PREMIUM. Berlin Fashion Week. On the Third (3rd) day, I went to PREMIUM INTERNATIONAL FASHION TRADE SHOW and spent proper time there at the fashion bloggers Meet-Up and Start-Up launch of a new smart phone App called Style Up! as well as taking the time to look around the international fashion trade show. Gin cocktails at PREMIUM. Berlin Fashion Week. I liked what I saw. It’s a huge venue of about seven (7) halls, and very open-spaced, ideal for running through the aisle with a gin cocktail in hand. Funnily enough, gin seemed to be everywhere LOL! Panorama Berlin. Berlin Fashion Week. On Thursday, the fourth (4th) day, I went to PANORAMA BERLIN FASHION FAIR. Panorama is in a huge venue and is located there for it’s second year. In fact, it’s the same venue location where I first learnt about blogging workshops, seminars, and the like. It’s a bit of a stretch to get to considering the other trade fair venues are “in town,” but the space is marvellous. Bread & Butter. Berlin Fashion Week. Let me tell you, Berlin Fashion Week was a complete and utter blast. It was tiring, slightly over-whelming, but brilliant and fantastic all over. I loved it. 1. Take some water with you. 2. Take a notebook and pen and pencil. And don’t lose them like I did! 3. Take a shoulder bag rather than a backpack. Not only do you look more professional but you can also sling it around a different shoulder when it begins to ache! I used a sling-over shoulder bag popular with European men. In red! 4. Use the cloakroom to deposit all the merchandise, material, magazines, and samples, that you pick up on a daily basis. 5. Look for the press lounge and if they serve refreshments, don’t be either too proud or shy, help yourself and eat. You’ll be hungry later! 6. Take your business cards. And plenty of them. You never know when you might make some contacts and meet some inspiring or important people. 7. Plan your time. You can’t do everything in a single day so space activities. Fashion Week is what it says on the tin: A week! As a last note, isn’t it wonderful that Germany won the FIFA World (English football) Cup? It was marvellous and well deserved. I even had a few tears in my eyes. As an expat, Germany is my new homeland. I’m really proud of them. 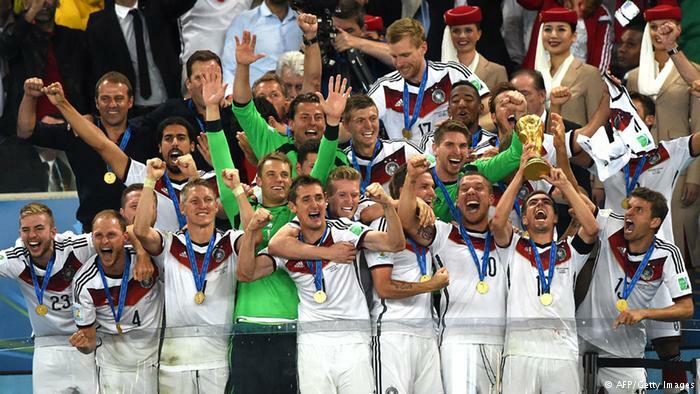 FIFA World Cup Winners: Germany 2014. Hurrah! Courtesy of Deutsche Welle. They. Are. The. Champions. Of the World!!! Next week, I will conclude Berlin Fashion Week writing about Berlin’s Night Of Fashion and the various evening entertainments in this darling city of Berlin. Many thanks once again to all the the people that I spoke to or interviewed along the way, the above Berlin fashion trade fair organisations and venues for accrediting my blog, sharing their passion for fashion, and generally, good old-fashioned, fun and enjoyment that I had, at my very first Berlin Fashion Week. Would you like to go to Fashion Week? Would you go on a date with Hilary Swank? 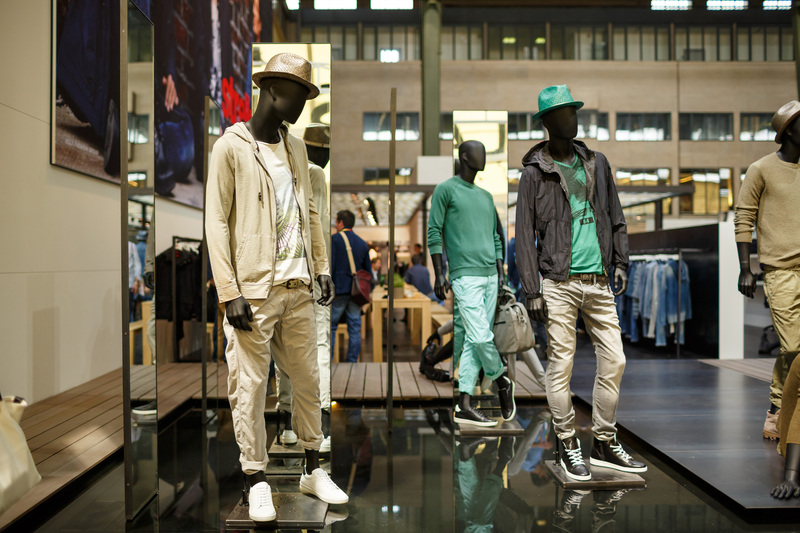 Do you think Berlin can compete with other world- fashion cities? Previous PostTilda Swinton and the Last Hurrah: Berlin Fashion Week Spring / Summer 2015!Next PostIf you’re going to dance the night away – Do it in Berlin! Looks like you had quite a fun packed week. Ironically, we missed the Mercedes Benz fashion week in Malta as we were in Berlin then. I was sorry l missed it. 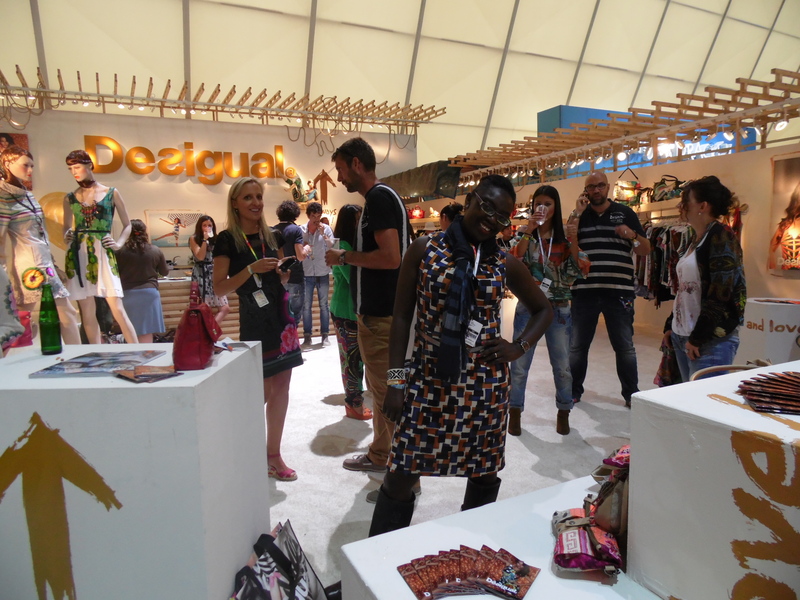 They had a very interesting mix of designers including a Nigerian one. So, you got swag, even better. Sorry you lost your notes, but your memory seems to be just fine. Good job, and some of the clothes look amazing, especially the first outfit by Miranda and that Premium suit. Thanks very much kemkem. Yes, I had so much fun! What a shame that you missed out. I didn’t know that Malta had a Fashion Week. Does every country have a Fashion Week perhaps? Yeah, I lost my notes. I tried looking for them but in the wave and flurry of feet, dust, and cabins, I could never find them. Good thing I had the photos, as they say pictures say a thousand words LOL! Yeeeeeeeees! Germany won the World Cup. It was mad over here in Germany. Just mad, but so well deserved! Congratulations for winning the World Cup! So proud of you neighbors! Oooooooh the match was exciting! I started to feel that Germany winning could be a reality after THAT match between Germany and Brazil. That was it for me. I then desperately wanted Germany to win. With that crap from Brazil, we deserved to! LOL! LOL! Your choice. Your blog. But if you’re asking… either make them longer and less, or spread them about but we might wonder why you’re talking about Brussels and then Crimea again. Don’t keep Crimea too far apart but perhaps less. It’s a difficult choice. I’m putting all my topics nearby so that they make some sense and then letting go LOL! Hm. Ok, you confirmed what I felt – bc I am writing about Crimea in sort of a serialized non-fiction novel style, I should wrap it up first. Thank you! Looks like such an amazing time! Thanks for sharing it! Thanks so much @andthreetogo. I had the greatest time! Ha ha..I always forget my business cards, so I end up handing out handwritten notes with my website address. Very pro:) I liked that they gave you a glass of champagne instead of Prosecco. No handwritten notes Mitzie Mee! I always have my business cards in my handbag. You never know when and who you meet LOL! That’s exactly, how I met the PR person for the Berlin Music Video Awards in 2014. I met her somewhere else and I just happened to be passing by too! I gave her my card and she put me on the press list. I never even met her again but that event was when my blog turned direction for the more interesting professional stuff LOL!